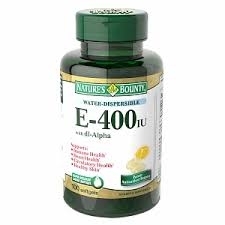 This natural vitamin E supplement is an exceptional, full spectrum blend of health-promoting tocopherols. Studies support the ability of vitamin E to promote heart health and antioxidant support. * This blend includes the important alpha and gamma forms of vitamin E, ensuring you receive a sufficient daily supply. No artificial color, flavor or sweetener, preservatives, sugar, starch, milk, lactose, gluten, wheat, yeast, fish. Sodium free. Rapid release. Use warm for: menstrual cramps, muscle aches and pains, stress relief, arthritis, sinus headaches.